Truly, there is no better way to preserve one of the most memorable days of your lifetime than to have a one of a kind painting as it happens presented to you on your wedding day. I will go over the details you want painted on canvas a few weeks before the event. The day of the event I set up 2-3 hours before to arrange the composition & paint the backgrounds. As the guests arrive they are painted in and the party begins. The guests of honor - bride & Groom are painted in. For weddings the most popular are exchange of vows [ the ceremony] or the first dance [ the reception]. Your guests will be entertained and amazed as they see the painting being completed. 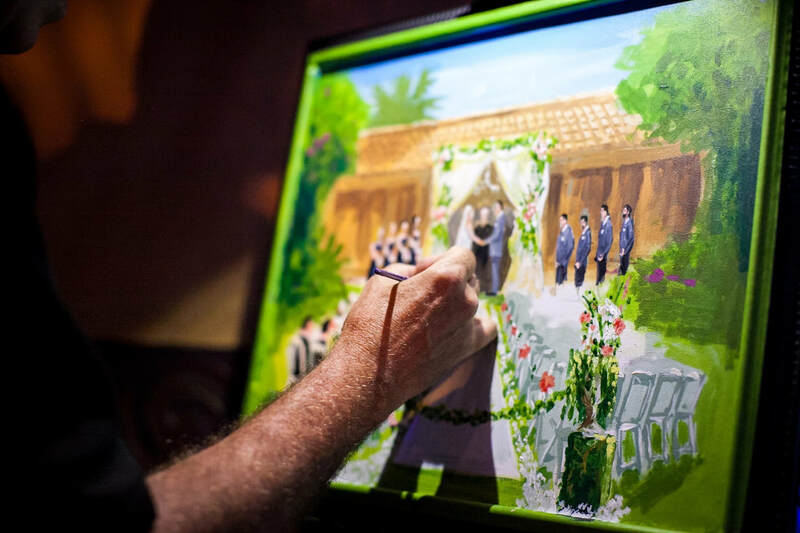 Live Event Artist of Arizona presents your beautiful masterpiece canvas in a custom frame at the end of the reception! 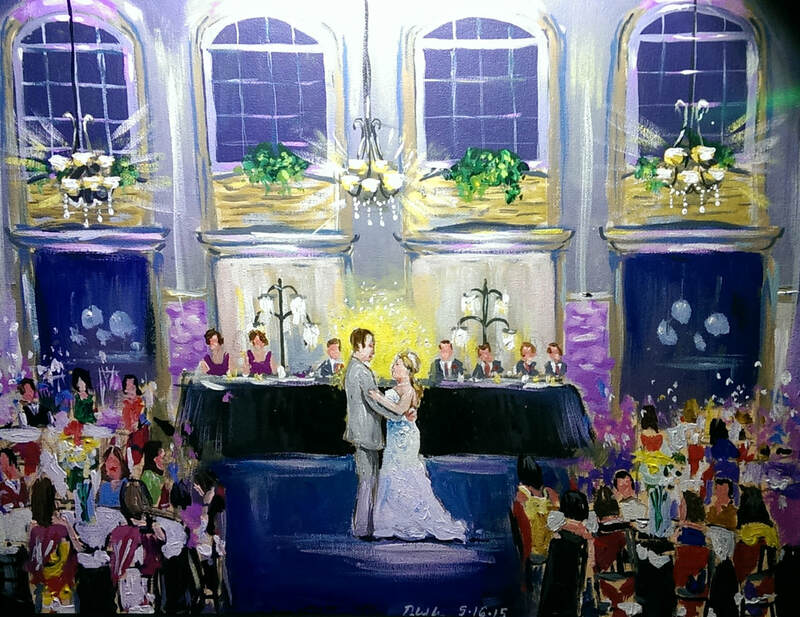 Imagine an heirloom-quality original painting on canvas that captures the essence of your wedding or reception. We offer many size canvas 16" x 20" is our standard, 18" x 24", 24" x 36" and the mural size 36" x 48" all paintings can also be studio finished for more detail when requested beforehand. Having a painting of your special day as a keepsake to​ remember is priceless! Dave Wilhelmsen is Arizona's premier live event artist that has captured events on canvas over the years. He is a former NY native, a graduate of the School of Visual Arts BFA and illustrator for NY Times, Doubleday Books and Sports IIlustrated magazine. 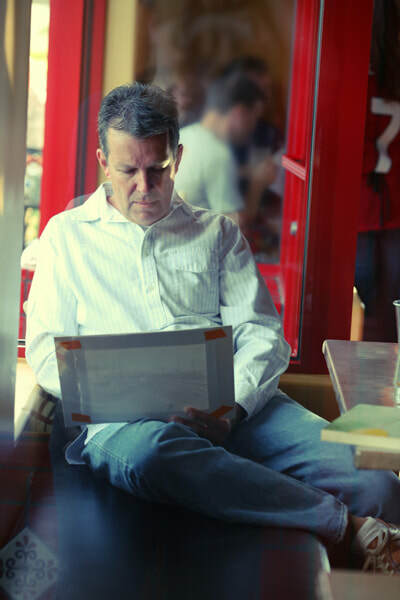 Having relocated to Arizona in 1994 Dave has exhibited in numerous local galleries and won awards for his artwork. Dave was featured on ABC-TV "Sonoran Living" and "Good Morning Arizona" Channel 3. Live event painting numerous weddings and corporate events almost a decade. "What a wonderful amazing idea! There is a very special day that you want more than ever to have it just perfect, to stand out...unforgettable. Have it painted on canvas as it happens and everyone will remember it and you will have a beautiful keepsake to remember it! 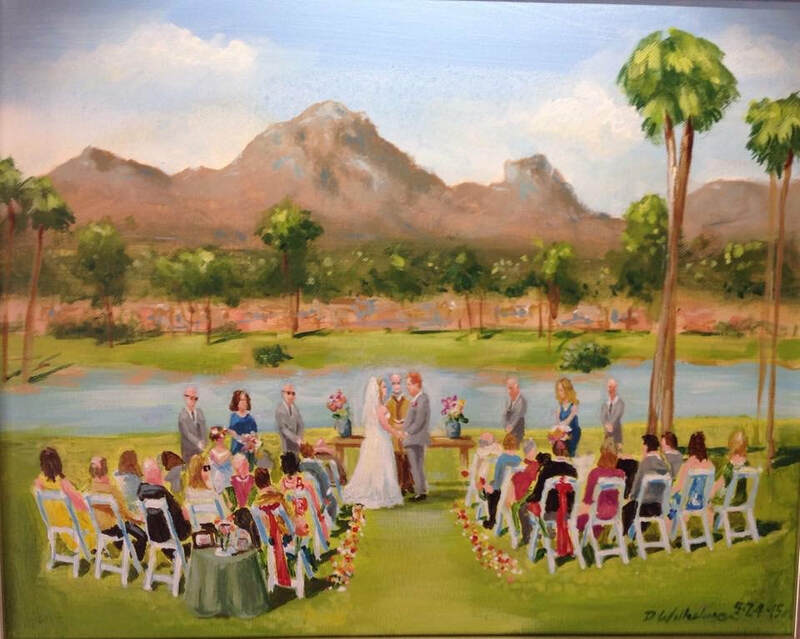 So excited with the weddings and events that i will be painting not only in Phoenix area but Sedona, Flagstaff and Tucson. I also travel anywhere to paint your special day on canvas we will make your dream day come true on canvas! #liveeventartistaz for new photos and videos of my wedding paintings! 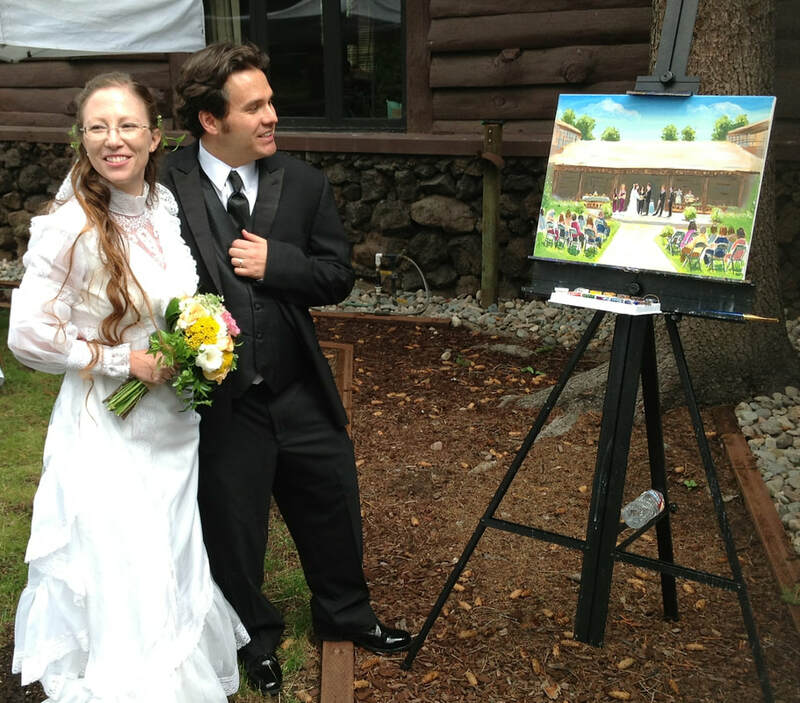 "The painting was one of our favorite things from our wedding, we heard it was also a huge hit with our guests. It is something we love to look at everyday. 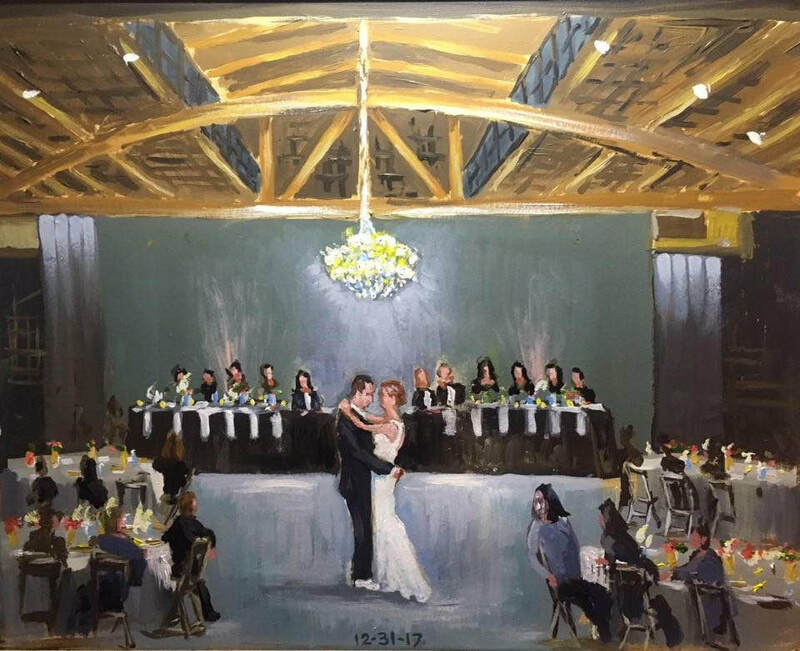 Dave really captured our wedding day feelings with his painting and it will be a cherished piece of artwork for years to come"
"we absolutely love the both paintings of our wedding ceremony and the reception you painted the very same day! This was the best decision to have you paint our wedding.They are gorgeous" Thank you! 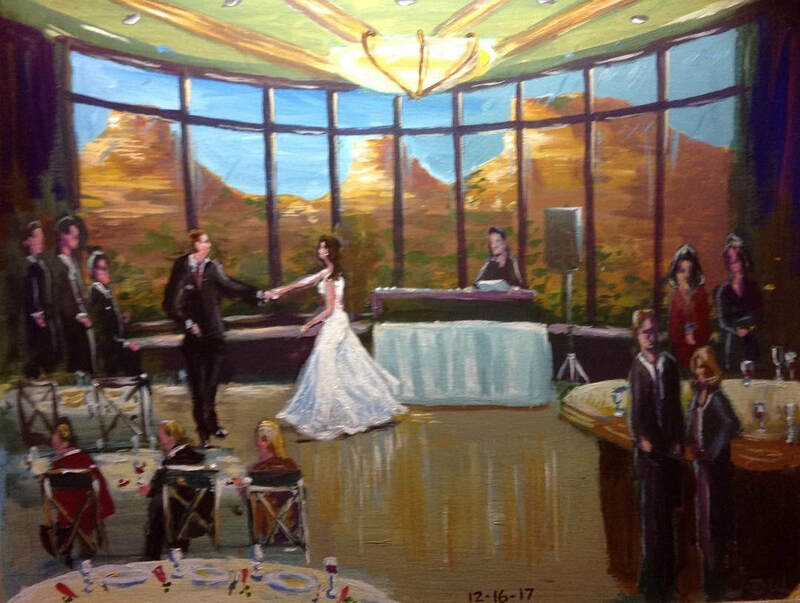 "I cant get over how great the painting looks and it was a gift that was amazing for my daughters special day"
"You made our day so extra special with not only the awesome painting of our wedding but our guests were talking all about the artist at our wedding being so entertaining and courteous"
" Dave the event artist is so very professional and gracious. He met with us a few months before the wedding to go over the process of painting our wedding. We cant be more satisfied with the beautiful canvas now displayed in our home. You will not be disappointed having him paint your day on canvas!" ​- Daniel and Raquel L.